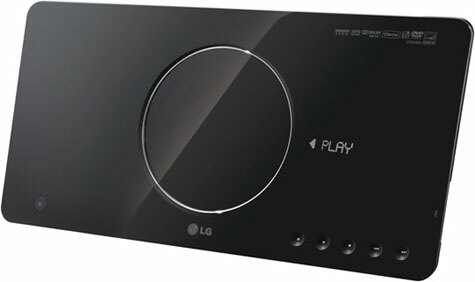 This is a very similar concept to the VERY popular DMP (Dual Music Player) which we published a month ago. Instead, PDP (Portable DVD Player) act as a DVD player by twist opening the candybar like shape and inserting your favorite DVD. As for the display, designer Yeon-shin plans on using the Sony full color flexible organic electroluminescent display that is thin & lightweight. 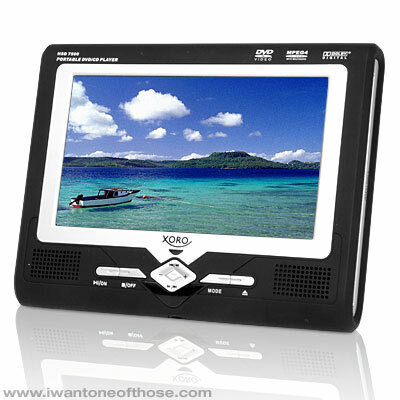 The Xoro HSD 7500 and 7510 Multi-region Portable DVD Players (rather a mouthful - though not literally please) are super-portable multimedia players. 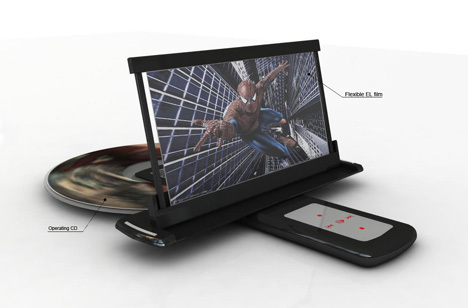 With high quality full colour 16:9 widescreens (7″ for the 7500 and 9″ for the 7510), the Xoros will play Multi-region DVDs, VCDs, SVCDs, MPEG-1, 2 and 4 Videos, standard audio and MP3 CDs, and display both JPEGs and Kodak Picture CDs. All that makes them movie players, photo players and music players in one. Not only that, but they also come with Freeview TV! The 7500 has a DVB-T receiver module which attaches to the side of the player, whilst the 7510 has an internal unit so you just stick the aerial into the top of the player. The TV has Auto Channel Scan, Electronic Programme Guide and Teletext, so you can watch T.V. anywhere.